The human resources department is a structural subdivision of the university. The department is guided by: the Law of the Kyrgyz Republic “On Education” and other normative, legal acts in the field of education. Orders, Directions, and other normative acts of the Ministry of Education and Science of the Kyrgyz Republic. 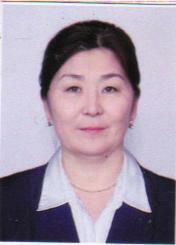 Regulations “On the state educational standard of vocational education in the Kyrgyz Republic”. Labor Code of the Kyrgyz Republic and other normative legal acts of the Kyrgyz Republic in the field of labor legislation. Regulations of the Higher Educational Institution, the Charter of the Osh Technological University named after Adyshev М.М. (OshTU). Collective agreement OshTU. Provides effective control over compliance with legislative regulations on personnel matters. Organizes personnel work using the latest technology and technology. It conducts work on the selection of personnel required professions, specialties and qualifications in accordance with the goals, strategy and profile of the university, the formation and maintenance of a database on the quantitative and qualitative composition of staff, their development and movement. Carries out work, together with the heads of departments, in the selection, and placement of personnel on the basis of assessing their qualifications, personal qualities, controlling the compliance of the qualifications of employees with the requirements for their posts in the departments of the university. Organizes the certification of employees of the University, its methodological and information support, takes part in the analysis of the results of certification, the development of measures to implement the decisions of the certification commission, determines the circle of employees subject to re-certification. Organizes timely registration of reception, transfer and dismissal of employees in accordance with labor legislation, regulations, instructions. Supervises documentary accounting of employees, issue of relevant certificates of activity, record keeping and storage of work books, preparation of materials for presenting workers to incentives and awards. Provides preparation of materials on pension insurance, as well as documents necessary for the appointment of pensions. It carries out work on updating the scientific and methodological support of personnel work, its material and technical and information base, introduction of modern methods of personnel management using the portal of the information system AVN. Carries out methodical management and coordination of activity of experts and inspectors on the personnel with divisions of the university. Supervises execution by heads of divisions of legislative acts and decisions of the government, local certificates of university on personnel work. Ensures compliance with the order of employment and retraining of the released workers, providing them with established guarantees, benefits and compensation. Controls the compilation and execution of vacation schedules. Carries out the control of observance by employees of university of Rules of the internal labor schedule, a condition of labor discipline in divisions of university, develops and realizes measures on its strengthening. It takes exhaustive measures aimed at preparing sound decisions on personnel work. Timely, in accordance with the established procedure, reports on personnel work. Signs official (business) documents within their competence. Conducts work on execution of orders on enrollment, transfer, deduction, assignment of scholarships to students, admission to the SAC of students, assignment of qualifications to graduates (draft orders) on the basis of reports of deans of faculties and personal applications of students, in accordance with the legislation of the Kyrgyz Republic on education, in the private affairs of students. Accepts personal files of first-year students. Forms a student’s personal file translated from another university and leads further movement. Strictly adheres to the procedure for maintaining the “AVN” database for university students. Contact details: office phone 03222 43558, mobile phone (0770) 303033. Contact details: office phone (03222) 43558, mobile phone (0773) 610741. Awards: Honorary Diploma of OshTU 2012, cash reward 2015, valuable gift, 2015. Contact details: office phone (03222) 43558, mobile phone (0779) 382312. Contact details: office phone (03222) 43573, mobile phone (0777) 477442. Contact details: office phone (03222) 43573, mobile phone (0773) 177178. Contact details: office phone (03222) 43573, mobile phone (0772) 499852. Contact details: office phone (03222) 43573, mobile phone (0773) 010201.